The 12,000 square foot Visitor Center includes exhibit areas, retail space, administrative offices, an audio/visual room, a multi-purpose room, water quality lab, classrooms, and restrooms. 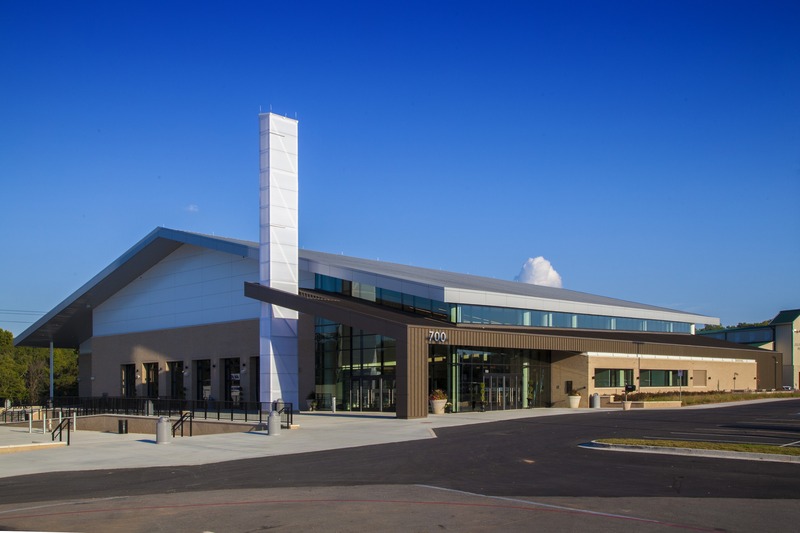 This uniquely sustainable project undertaken by the Georgia Department of Natural Resources received LEED Platinum Certification, making it the first project in Georgia to receive this distinction. At the time, it was also one of only 20 buildings in the world to receive LEED’s highest level of certification. 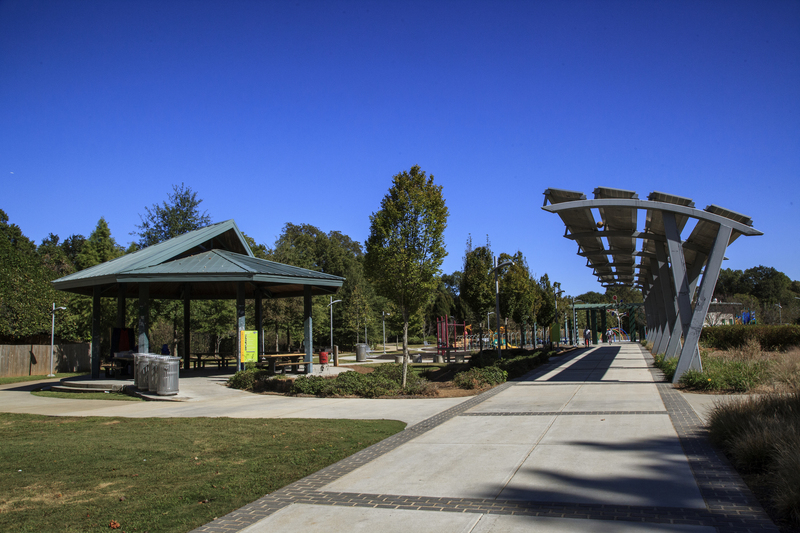 The existing park along the Atlanta Beltline was renovated and upgraded to include multi-use trails, a splash pad with a commissioned work of public art at its center, a gazebo, new site furnishings, updated landscaping and multi-use fields with accessible restrooms, and a concession stand for the neighboring community. The park also contains enhanced swale bio-retention areas to revitalize vegetative areas and is the first energy cost-neutral park in the City of Atlanta, featuring the use of photovoltaic solar panels to provide shade structure and also generate energy that is being sold back to Georgia Power. 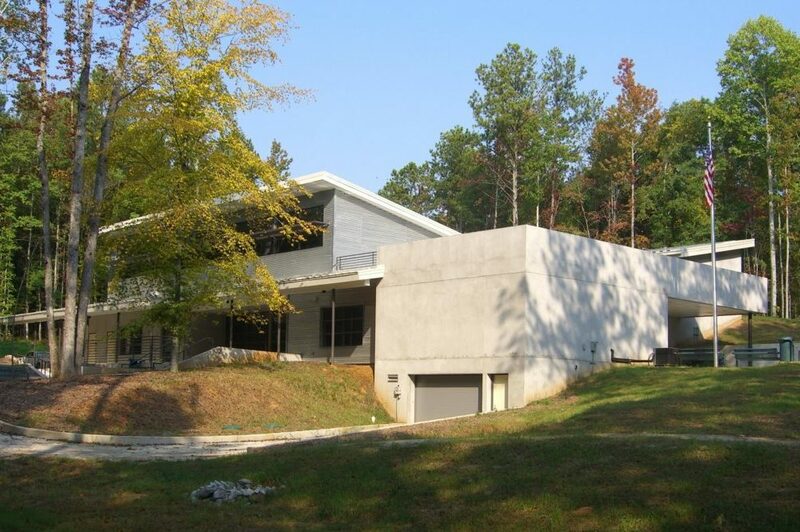 Westside Park at Bellwood Quarry is a City of Atlanta park that surrounds a former granite quarry repurposed as a drinking water reservoir to serve the city. 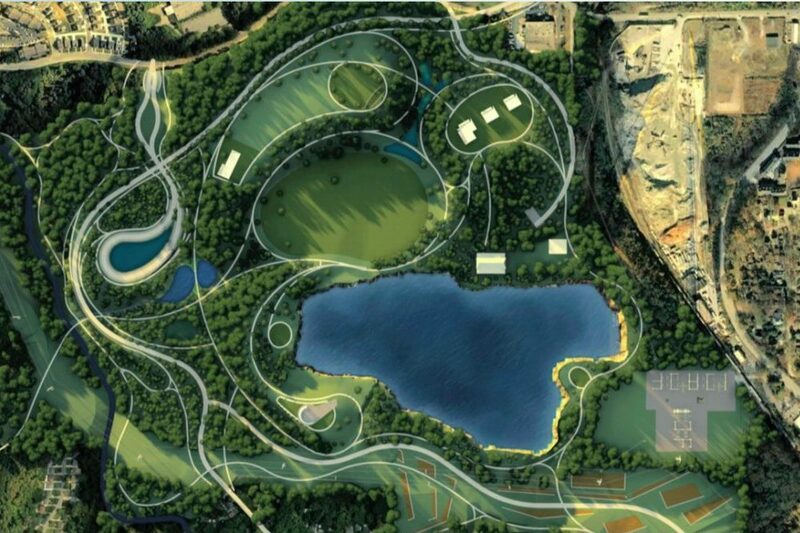 The project consisted of a North Gateway Entry for pedestrian and vehicular access, circulation drives, vehicular and bicycle parking areas, a Grand Overlook Feature overlooking the quarry with a 250-person capacity, a Hike-In Overlook, trails, passive recreation areas, and Green Infrastructure. Jim R. Miller Park is an existing facility that hosts major events, concerts, trade shows, rodeos, and festivals. Two of its existing buildings were demolished to make way for a new $13.2 million, 41,000 square foot exhibit hall at the existing Jim R. Miller Park. The exhibit hall will also feature a kitchen and three new exhibit halls focused on supporting corporate meetings, banquets, and trade shows. A 40 space parking lot was also constructed to support the new building.